You’ve heard Scott talk to some amazing business leaders about the success of their ecommerce businesses recently. Today’s guest has a similar story to share. Brian Jones joins Scott on this episode of The Amazing Seller to explain how he started his ecommerce business, built it up, and eventually sold it. This is an episode that will leave you inspired, motivated, and encouraged to get out there and work for the success you’ve been dreaming about. Don’t let another day go by, take action today! Learn more about Brian’s story on this fascinating episode! You’ve heard the old saying, “Don’t sweat the small stuff,” right? Well, that might not be the best advice to follow when it comes to competing and building a successful ecommerce small business. On this episode of The Amazing Seller, you’ll hear from entrepreneur and business leader Brian Jones. Brian speaks to the significance of looking for those small areas like packaging and messaging to get the advantage over your competitors. Listen to Brian’s story as he describes how he was able to hone in on packaging and how providing quality packaging set him apart from his competitors. You’ve got to hear Brian’s story, there are so many great lessons like this one for you to learn from! Have you been listening to success stories and found yourself wondering when or if you will get to experience that same level of success with your efforts? What are you waiting for? 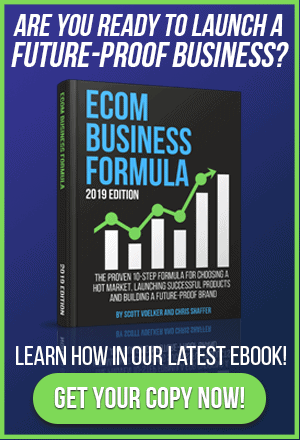 Do you have it built up in your mind that you need some vast amount of money to get your ecommerce business off the ground? 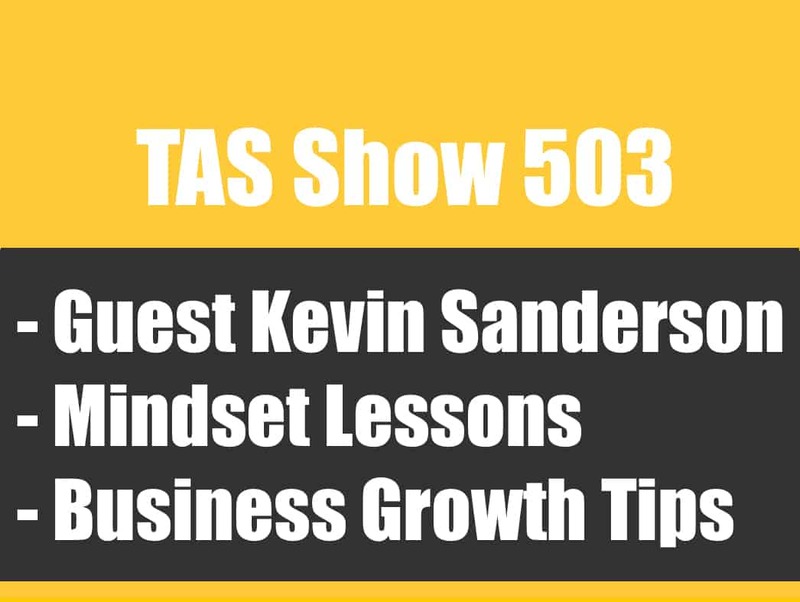 On this episode of The Amazing Seller, you’ll hear from Brian Jones as he explains how he was able to get his business up and running with $6,000. To some that number seems really low, to others it seems really high. Listen to Brian’s story as he explains how he made it work and how you too. Don’t forget helpful resources Scott has put together like the 1K Fast Track group that can help you raise the funds you need to get started today! Are you really good at starting new projects and implementing new ideas? Do you find the thought of running a business on a daily basis dull and uninspiring? If that’s you, you might want to pay attention to what entrepreneur and business leader Brian Jones has to say. Brian was able to start his ecommerce business, make it profitable, and then sell it for a profit that will help fuel his next project. There are business leaders out there who dream of opportunities like Brian’s to build something of value and worth and then hand it off to someone else to maintain so they can pursue the next dream. Learn more about the process of selling an ecommerce business on this episode of The Amazing Seller! What are you doing today to move toward your goals for the future? Seriously! You don’t want to get too focused on your plans for the future that you fail to take action on the things that need to be accomplished today but it is helpful to have that goal in mind. So what’s yours? On this episode of The Amazing Seller, you’ll hear from business leader Brian Jones as he opens up about how he has started putting into motion his plans for the future. He talks about how, now that he’s tasted success and he knows what it takes to get there, he has his eyes set on an even bigger goal. Don’t miss more of Brian’s inspiring story on this episode! [3:30] Brian Jones joins the podcast. [4:30] Brian tells his story, the cliff notes version. [13:30] Securing sourcing and dealing with samples. [15:30] Focusing on packaging, and listing optimization. [18:00] Brian talks about his strategy launching a product on today’s marketplace. [23:30] Building a business with $6,000 and following the process. [31:30] How did Brian come to the idea to sell his business? [35:00] How did the valuation of Brian’s business work out? [40:30] What was the vetting process like? [43:30] Did Brian just hand over the keys to his account? [47:30] What is Brian working on now? …and we are going to be shining the light on him today and his name is Brian Jones. He’s going to talk about how he’s built an Amazon business. He generated $182,000 in profit in under a year and a half or just a year and a half I believe it was. He’ll tell us exactly how long it was, $182,000 profit. Not gross, profit. Net, take home. Then from there how he sold the business and then he’s going to talk about a new business or a new brand that he’s building with the potential and possibly selling that one. Now he’s got the bug for building Amazon businesses and then selling them because if you haven’t heard, it’s a pretty big market out there for people buying Amazon FBA businesses. Some people now are saying now like, “Well, I’m kind of good at this. I’ve already done it a few times. Let me just go ahead and build these things and then just flip them in a year and a half or two years, and then cash out and start over again.” Then for someone that just wants to invest and they don’t want to do the building of the business it’s a great opportunity for an investor. That’s what I’m going to be sharing with you today and I’m so excited because it was an awesome conversation with Brian and he’s going to share a ton of knowledge with us here on the podcast. Now, before I do jump into the interview, I wanted to remind you guys of the Facebook group, The TAS Facebook group that is theamazingseller.com/fb. That is where Brian is hanging out, that’s where we are hanging out. If you want to connect with other likeminded people definitely go check out the Facebook group. The other thing I want to remind you guys on, I haven’t done this in a while, is you’re listening to this probably on iTunes or Stitcher or whatever platform you’re listening to this on but there’s probably a way for you to leave a review and maybe even subscribe to the podcast. [00:02:03] Scott: If you have not subscribed to the podcast, definitely do that. This way here you’re notified when we go with a new episode or when we go live with a new episode and it will be published and you’ll automatically get reminded. Definitely go ahead and subscribe to the podcast. That would be awesome. If you want to leave us a review, that would be cool too. Love hearing from you guys. Then the last little reminder is the show notes, theamazingseller.com/398. I can’t believe it we’re almost at 400 and episode 400 is going to be pretty cool. I’m going over some of the things I’ve learned from the past 400 episodes and also a lot of the guests that have come on that have actually built brands and what makes it really work and looking into the future. All of that stuff is going to be episode 400. So you definitely want to check that one. I’m super excited and I want to thank all off you for being listeners because you guys allow me to keep doing this because you keep listening. As the downloads increase and I see that there’s definitely people listening I’m going to keep showing up because of people like Brian that are actually applying what I’m kind of going through and as far as like the different processes in building the businesses or email list building or any of that stuff and applying it and having some type of change in their business is all that I’m after. That is what I want to do for you. Super excited about that. All right guys, that’s going to pretty much wrap up the intro. Let’s go ahead and dig in. What do you say? Let’s go ahead and listen to this awesome amazing interview that I did with my good friend Brian Jones. Enjoy. [00:03:32] Scott: Well, hey Brian. Thank you so much for coming on the podcast man. How are you doing? [00:03:36] Brian: I’m doing great Scott. How are you? [00:03:38] Scott: I am doing fantastic and I’m really excited to dive into your story here and bring people up to speed as far as what you’re doing and I want you to really go back a little bit and explain how you even got into this game and why but really just to let people know like you posted something in the TAS group I believe. Then that got my attention and I basically, “Hey Brian I got to get you on the guest. I got to dig into your story a little bit. We got to unpack some of this stuff.” You said, “Yeah, no problem. I’ll definitely jump on.” That’s how this all happened. Anyone listening, if you’re not part of the TAS group you should be. It’s free and there’s a lot of people who are there like Brian that are sharing and giving. Definitely go check out that. Brian give us a little bit of a background of who you are and how you even got exposed to this FBA private label thing. [00:04:34] Brian: Absolutely. I by trade I’m a software engineer. I’ve been doing that about 15 years and that’s my day to day job. I work for options exchange actually. That definitely keeps me busy but I really started in this space by trying to figure out some ways to make some extra cash on the side like most of it happens. I looked for a while at a lot of different options. I looked into multi level marketing, I looked into drop shipping, I even strongly considered doing freelance software dev because that’s what I do. I stumbled across your website and so happy that I did that. What first struck me about your website was how much information that you provide with no strings attached. I was just like, “Wow. This is incredible.” And was super happy to find it and just hop all over it. [00:05:44] Scott: That’s awesome and I love to hear that and it’s funny because a lot of people go into any business or any venture with immediately thinking to themselves how am I going to make money and podcast for me wasn’t about that because I wasn’t relying on the podcast’s revenue. I just knew that if I gave enough value then eventually something would happen and honestly that’s the truth. It was like if I just put it out there for nothing. If I was sitting at a coffee shop and you and I were having a conversation I would have been telling everything I told on the podcast until now even basically the same thing. That’s going to be another thing that you’re going to get frustrated with. It just depends on how long you’re willing to go at this thing and study and consistent. What’s your end game? I know you’ll talk about it as far as what you have in mind but it’s just a lot of people when they get started they think to themselves they have to make a profit right out of the gate or it’s not successful. I’m curious for you, did you have a think like I’m going to do this thing and if I start to make an extra 500 bucks. Was there something in your head that was like a marker or did you say I’m just go in and just see what happens? [00:07:45] Brian: I said to myself I want to go in and see what happens. I have a pretty busy full time job so I didn’t have a lot of time to spend with it. I was spending an hour, maybe an hour or two a night. I just went into it thinking, what happens. I spent a long time to find my first product like a lot of people do. I spent four or five months trying to find the right product. I even had a few initial products I thought I was going to move forward with and dropped after going back and forth with suppliers about details. There was two products I was going to move forward with. So I get to the third, totally different stuff too. I was nervous to pull the trigger like we all are and really wanted to spend my time and do due diligence to find my products. So it’s not like I just jumped right in. It was super interesting trying to figure what I was going to do and it was fun. It was fun. The whole thing it’s just a game. It’s like where are these niches. [00:09:01] Scott: It’s funny that you say that. I often think of business in general is kind of like a game. It’s like you can totally direct where you’re going but you’re going to have some obstacles. It’s part of the game of business. It doesn’t matter what market you’re going to. I want to dig into that through really quickly before we move on. You said something really important there. You spent four or five months looking at like product research and figuring out the right product and stuff and it was tough. You were ready to pull the trigger but you didn’t. What made you not want to pull the trigger? That’s something we should probably talk about. [00:09:43] Brian: That’s a great question. [00:09:51] Brian: It was two different ends of the spectrum. One idea was too saturated and one idea was not enough demand. And along with both of those things, I wasn’t confident that what I wanted to do in terms of differentiation was going to be cost effective, easily done in terms of manufacturing. There was all those things in play. 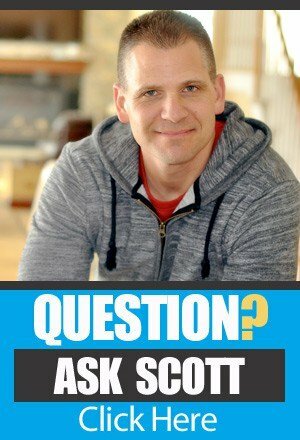 [00:10:19] Scott: Let me ask you this because it’s another thing with mindset. It’s like you did all that work, you got to that point, you’re like, “Oh crap, it’s not going to work.” You get deflated. Some people do. [00:10:30] Brian: That’s when you gotta press play in your podcast and hear another good story and some new good hot advice and you get jazzed up again. [00:10:42] Scott: I agree man. Even myself it’s like, it’s funny. I was talking to a good friend of mine who’s a podcaster, he runs a podcast called Morning Coach. I just interviewed him, he’ll be on the show, you might have already depending on when this airs. He talks a lot about energy and it’s like about the head space and the mental barriers and all of the stuff and we need a daily dose really but we need to be self help junkies in a sense because in life, in business it’s going to happen. I love it that you said that and I’m glad that the podcast was a resource for you to do that, to give you a little bit more push or a little bit of a nudge. [00:11:34] Brian: I was so excited of the possibilities at that point that no, I did not consider quitting. I figured eventually I would find the right product and I really feel like the sky’s the limit. I feel like I have thought that since day one. [00:11:51] Scott: I guess the proof is in your results. I mean like I’m looking at your screenshot you sent me over a while ago, you’re talking over $182,000 in profit since you started. You started in November 15th of 2015. So some people would be like let’s break that out over the amount of time that you’ve been it. It’s still a healthy net profit for just starting. It’s pretty good. [00:12:16] Brian: I was pretty happy with it and I didn’t pinch the pennies as much as I could have. We can delve into some of this stuff but I spent extra money to do things the right way, I spent extra money on all the tools I thought I needed in terms of software to kind of get a clear picture on things and track things well. I wanted to do it right. I did not pinch the pennies and I was in it to have fun and for a longer term. [00:12:47] Scott: Again, you’re still making a net profit at the end of the day which is pretty cool. I’m looking here at your screenshot, we have 40% on the one spectrum and then the other one we’ve got 48%. It looks like it’s gotten around that range as far as like 40 to 50%. It’s somewhere around that range which is great. Who wouldn’t put a dollar in and get 40 cents on the dollar? It’s pretty cool. Then let’s dive into some of that stuff. You get the product picked, you’re happy with it, probably still nervous. That whole thing I get it. Then you’re ready to launch. What happens after you order? Or did you want to talk about maybe the sourcing? Did the sourcing go okay? [00:13:28] Brian: The sourcing went awesome. I got super lucky. It’s a bit of a slow process to find the right manufacturer but in terms of I did what you suggested many times which is to basically reach out on Alibaba with a nice letter and did definitely speak to a bunch of manufacturers but when I say speak, I mean by email. One thing that’s amazing about my story I think I did not speak on the phone once. Everything was done via electronic communication and emails the entire time. That’s kind of crazy. Anyway, I ended up spending some time and eventually getting really lucky with a great supplier who’s been phenomenal. [00:14:19] Scott: So now you communicated with them, you ordered a sample or samples I’m assuming, you got those shipped to you. How was that process, did they look okay? Did you have to modify? [00:14:31] Brian: They looked okay and actually I had to do a custom mold so we did. I saw what they already had to judge quality and what they are capable of and then I spent about half of my initial investment was just on the mold. I did that. I got the samples, they looked good. I paid for the mold before we did about a month for manufacturing to be done. It was all pretty smooth in terms of that part of it. [00:15:15] Scott: Cool, so now you get the mold going, you get your product, it’s maybe 30 days out, what are you doing in the meantime? [00:15:24] Brian: I was writing my listings, started to optimize my listings, thinking about who and how I’m going to get my images and there was period of time where they were making the mold where I started to design the packaging. Packaging I think was a huge part for me because in the niche I was in, most of the competitors didn’t have a strong packaging. I made it a point to really spend some time and focus on that. That really helped. Worked on the packaging during that time. Listing writing, and my launch plan, how exactly I’m going to kickstart this. So figured out what launch services I was going to use. [00:16:25] Scott: Let me ask you this, you launched in 2015 probably the first product so probably things were different then. You were using probably a different launch plan than maybe you were using a review group of some kind, whatever but now things have changed. Have you launched a product since the bigger changes? [00:16:46] Brian: I did. I launched one product. Not all of it but a lot of it is based off the sales, your sales velocity and then optimization and then all that stuff. There’s different ways to do it nowadays. I’m curious, what’s your strategy now like if you’re launching a product in today’s time, what’s the strategy for you. [00:17:55] Brian: One of the lessons learned from my first product initially launched was had a really hard time collecting emails and trying to go that route. Had a really hard time. No great reason other than, I really just didn’t know how best to go about it and you hadn’t made that, and you’ve always said emails are important but you’ve offered since then a lot of advice around that. I forget what you asked. [00:18:30] Scott: At that point, how were you getting ready to launch the product, what’s different now? [00:18:38] Brian: Honestly with my fifth product, my fifth product before I sold it, I launched it exactly the same way. I did a viral launch and actually it was funny because early on I used GET BSR, I think was the name of it. That really was a review group and it was sales velocity and reviews early on with fire launch and obviously after that changed I got like no reviews. I gave away 100 products and certainly got the sales boost, the ranking boost which was ultimately what I needed but I was upset actually because I think I got two reviews out of the hundred giveaways. That’s not what they are focused on and things are different. [00:19:34] Scott: Yeah they are and I got to be honest, even the people now that are in those groups that are getting product at a discount they are almost afraid to leave a review because their accounts can get banned for leaving reviews or other aspects of their accounts and that’s happened. I’ve heard people say, I can still use my account but I can’t leave reviews now. So I’ve been basically blacklisted. I can’t blame them. In the same breath like you said, it would have been nice to get 10 or 15 reviews out of that. It would have been nice. It almost can work the opposite even if you have a follow up sequence in place whether you’re using Feedback Genius or Salesbacker, whichever you’re using. It’s going to be harder because you’re really following up with those people that are in those groups that are now probably aware I shouldn’t leave reviews because I can get banned. So if you cultivate your own email list, what I’ve been talking about, you’ve heard me talk about that then you’re not trained at all. They are just regular everyday people that are in your market. That’s why I’m a big, big fan of that. It’s working great for us in our new brand and I swear by it. Little side note here is, sometimes here you have a brand that maybe an email list doesn’t make sense or maybe you have an open brand that has multiple different products, it’s going to be hard to really do a list to those people. You’re just going to use your common sense and you’ve got to see if that’s even the case and it might be something that you consider now when you pick products moving forward because now you can say, can I make a list around this and if I do are they going to be responsive and wanting to get good discount upfront, interact and all that fun stuff. You said something that I want to let people know. You actually sold this first brand already, currently. [00:21:27] Brian: I did. Couple of weeks ago I settled. [00:21:31] Scott: Okay. I knew we were going to go there but you’d mentioned it because I was looking through the email and you’d said you’re in the process so since we’ve emailed since then, you’ve actually closed on the deal now. [00:21:41] Brian: Closed on the deal. It’s a done deal. It’s no longer my company and I was having mixed emotions about it since I grew it from being a little baby but very happy with the net outcome. I was lucky enough to actually to keep some equity in the business. It’s part of the deal. I stay connected and I’m able to share in some of the profits going forward. It really turned out to be a great thing. [00:22:12] Scott: I definitely want to dig into that. Before we dig into that, I do want to just finish off how you built it to where it is now and then how the whole like being able to even sell it came about. Maybe we can talk about best practices as far as like maybe things you’ve learned, now that you’ve sold that you would differently when you set up a new account and a brand and all that stuff. Let’s wrap up like you’ve done good, you’ve started, you’re kind of focused, you build this thing, you built it. It’s exceeded your expectations. You’re like, this is great. I launch this stuff. I had some ups and downs. I’m sure you had some hiccups here and there but you just kept moving on. You built this thing to where… I’m looking at your screenshot. Again, I mean you had over 20,000 plus units sold in less than two years. 18 months and it looks like your gross sales was over $458,000. Then your net profit on that was like $182,000 and some change. That’s pretty darn good. Anybody would do that in a heartbeat but you’re telling me that you didn’t really do anything special. You just followed through and did your due diligence and you went through the process and now you’re going to do it again. It sounds like, right? [00:23:35] Brian: That’s right. It’s important point that as I thought about what I was going to say when I spoke to you for this podcast I really, for better or for worse, I didn’t do anything special. I just followed the process and stayed focused and that’s definitely an important point. Like we all say, it’s not easy. It’s definitely work and I put in the time but I just followed the process. One thing that’s really amazing also I think is I started this whole thing with only $6,000. [00:24:09] Scott: I’m glad that you mentioned that actually. That’s great. [00:24:12] Brian: That is my total buy in. I ended up with five products when I sold it and everything was developed, all that new growth was just re-investment back into developing new products. [00:24:26] Scott: I was going to ask you that. When you start with $6,000, you had a mold made. [00:24:34] Brian: I had a mold made. Half of that was just the mold. [00:24:35] Scott: So $3,000 in a mold and then $3,000 in the first round of inventory. What was the first round off inventory? How many did you actually end up purchasing? [00:24:43] Scott: 1,000 units, about 3 bucks a piece. $3,000 in a mold, $6,000 is your total buy in. That’s a great number and then from there now, you start bringing in some money and then you’re just rolling that back into inventory and then maybe the profits you’re going to start thinking about product two. Is that how it worked. [00:25:05] Brian: Yeah. I honestly I did not take much money out at all from the business. Probably around $1,000 total for myself during the first year. Everything else was reinvested back into the business in terms of developing your products. [00:25:23] Scott: Do you feel like having those other products helped you…? Were those other products related? I guess I should ask you that question. [00:25:31] Brian: They were all in the same niche and I ended up doing multi buy discounts which I think was big in terms of boosting my sales and the more products you have under a niche and within a brand the more substantial you look in terms of a company and people are more likely to buy from you. One thing I definitely want to mention, I said earlier packaging was really big for me I think. Almost 50 cents out of that $3 per unit cost was just in packaging and an insert, a little booklet and the feedback I got immediately from customers was really positive and people really noticed our stuff. I think that’s huge. You can’t forego packaging, you can’t. It’s like if you’re going to do it, I really think you need to spend an extra 25/50 cents and have a nice box, nice whatever you can do depending on the size. [00:26:40] Scott: Who did the actual graphic design? [00:26:44] Brian: I did, is the short answer. I bought a subscription to Adobe creative cloud and for 50 bucks a month you can get Photoshop and all their different products which is kind of an interesting thing that I found. I did that myself because I enjoy that and now for my new brand I decided to outsource that to a company called outlinematic.com and they’re doing phenomenal. In hindsight, I probably should have done something like that in the first place. [00:27:19] Scott: What’s the URL to that again? [00:27:21] Brian: Yeah, it’s outlinematic.com. [00:27:31] Brian: Please do, they are phenomenal, super reasonably priced. I had them do my new brand logo, packaging, all the graphics, everything and it was super reasonably priced and they just did a really phenomenal job. I show all my friends and family what they produced and they just can’t believe the result and especially when I tell them what I paid. [00:27:53] Scott: That’s awesome. That’s a great resource. [00:27:55] Brian: They have a special right now for $250 for all of that. [00:28:02] Scott: That’s a great deal. [00:28:04] Brian: It totally is. [00:28:05] Scott: I’ll definitely check that out. Heck, I might even reach out to them and see if they are willing to even give the audience a discount of some kind. Maybe we can work out something with those guys. I’ll definitely check that out. Okay, cool. I’ve always used either 99 Designs or even someone on Upwork. Again I can do it myself, I am pretty good in Photoshop just from my background. But time for me, it’s all about time. Especially when you get in the box design and you got to do all the sides and you got do inserts and all that fun stuff. When you have someone that can do it, you just tell them what you want in it and then they make it all fit, which is kind of nice. Cool man. So packaging, packaging is big so let’s just put the highlighter right there for a second. Like let’s highlight that with the yellow highlighter like we definitely need to make sure the packaging and I agree. I think moving forward is going to become even more important and I think the other thing is I don’t know if you did it or not but are you including your box or your packaging in the image that is your main image? [00:29:09] Brian: Of course. Yeah, absolutely. [00:29:11] Scott: I think as far as like hijackers, I think that’s important now too because when you have that in there it’s also going to let the hijackers know that you’re a brand and then also you have certain markings on the box and they would have to duplicate that as well. It’s going to make you not as easy of a target not to hit. I’m a big fan of putting the packaging in the actual images. Okay, cool. Images are a big deal. Again, nothing special, you kept drilling down into that niche and then you went a little bit wider and then from there you started probably to get some cross sales and all of that fun stuff. What were the price points of these products? Let me ask you that. [00:29:56] Brian: I had one of those experiences that you often hear of where you price it at what you can get for it, which is initially my first product I had priced $15. I got low on my first batch in terms of inventory and bumped the price up to stifle demand. And the demand increased. You’ve had that story pretty often. Now, since then I’ve kept that price around $25. Big difference. [00:30:28] Scott: Wow, that’s a huge difference. Very, very big difference. [00:30:32] Brian: All the products are around that range between $15 and up to $25. [00:30:38] Scott: Okay, and the price point for you to land those is probably between $3 and $5? [00:30:43] Brian: Exactly. You got it. [00:30:48] Scott: Awesome. That’s really a great path for people to follow and to listen to and I think the one big thing like you just said was follow the plan but then also packaging. Just really trying to concentrate and people think packaging has to be like really super expensive. It doesn’t. A lot of times they’ll do it for you as far as like all the boxes and stuff, you just have to adapt your graphic. Your graphic is going to be the thing that’s going to cost the money up front but then it’s something that they just print over and over again. [00:31:18] Brian: Yeah, I was shocked how cheap that was. [00:31:20] Scott: That’s a great point. Now, you’re sitting here, you’re rolling pretty well along your journey. Where does this, “I’m going to sell the business come from? [00:31:35] Brian: It came out of left field. I don’t remember what I read, where I read it but something made me aware that this was a possibility. I probably read a post on Facebook of somebody else mentioning that they were doing it, that’s my guess. I don’t remember exactly what that trigger was that made me think that this is possible then I started doing a little research about the market and how much this was really happening. I was shocked to find out. There’s a huge market and as soon as I found that out I said I’d be stupid not to do it. That’s how I felt about it. As you know, every day with the Amazon business, the fact that they own the listing and they can do what they want in theory with your business, it’s scary. There’s always inherent risk with being on there and I just felt like cut and run. I can do it now, I’ve had a good success and I figured do this and do it again. [00:32:55] Scott: What I’m hearing is, and I’m actually starting to hear a little bit more of this is you went through the process, you figured out how to find products, get them listed, do good listings, do good packaging, do all of the work upfront, get it built maybe in a year or 18 months. Get it turning profit and then from there you can say okay, I’ve got a house for sale. Basically. [00:33:19] Brian: Yeah, again I was totally floored by the market for it. [00:33:24] Scott: It is, it’s a big market. I’ve seen them go up, I had Justin on from Empire flippers which they weren’t even aware of it, up to until about a year and a half ago. All of a sudden they are flooded now with businesses ranging from, you can buy one from 30 grand, all the way to a million dollars or more. [00:33:45] Brian: It’s funny you mentioned those numbers because one of the things that really played in my decision or our indecisiveness about moving forward on that because of the way the valuation works. Typically it’s a 12 month rolling net profit. So a multiple of the last twelve months of profit and because I had over those twelve months, I had not had all five of my products live, I could have waited to sell another six to twelve months and if I had waited another 12 months and assuming everything continued to go well, I could have doubled my money but it goes back to… I just felt like, “Don’t be greedy.” This is an opportunity now, I worked hard but it’s also feels like I just… I think I’m lucky. I feel fortunate that it happened that I had the opportunity and I just felt like don’t be greedy, I’m going to do this and I’m going to do it again. [00:34:51] Scott: So okay, let’s talk about how they get the valuation again. Because I know people find that kind of interesting and some people are shocked that people are paying, they are paying a multiple that high. What were you told and what did it work out to? To keep it simple, the way that I’ve always been told and how people are doing it, is basically you are taking that twelve month number, you’re dividing that by 12 because they are going to find the average month, even though one month might have been $3,000, one month might have been $10,000 you’re going to find the average across the board and then depending on how old the account is, how seasoned it is, maybe other assets that are along with the email list, social medial channels, whatever, there’s a multiple of generally between 20 and 30 times. Basically if you’re netting, let’s keep it simple, $2,000 a month then you can multiply that by 20 or 30 and that would be your buy for that FBA business. [00:36:05] Brian: Yeah, absolutely. That’s exactly my understanding as well and that seems to be what happened with me. My broker we kept it a little bit more simple in that do it as a multiple of the total 12 month profit. My case we priced it at 2.6 times the last 12 months of profit. You’re basically selling your business for two or two and a half times what you could make this year. [00:36:53] Scott: Okay, again trying to do some math here but if you made $25,000 net then you’re going to basically get $65,000. [00:37:04] Scott: Just used my calculator on that. I’m not that smart. Full disclosure. I can do two plus two but that’s about as far as we’re going to with that, on the fly here. If I did it the other way, if I did $2,000 times, let’s say we just did 25X it’s going to be $50,000. Again, it’s going to depend on, I believe it’s also going to depend on those additional assets. Knowing that 2.6 that you said it could have been 3 if maybe you said you had an email list of 50,000, you have a social presence on YouTube and all these things then you might have went up to 3X. [00:37:50] Brian: Yeah, that’s true. The most important thing is just the length of time you have been in business. That proven record. How long have you been showing these strong numbers or numbers at all as indication for how steady and likely this is to continue. Businesses are being sold that have five to ten years of history are going for four and five multiples, mine went for half that. [00:38:21] Scott: It’s risk. It’s really what we’re looking at. It’s like okay, let’s see. You’ve been in it for 12 months, you still could basically, you could go down tomorrow, if you’ve been on for four or five years you kind of got a good track record so we’re willing to invest a little bit more. [00:38:39] Brian: A really important point. Let me mention my broker. My broker was amazing. His name is Coran Woodmass and his URL is thefbabroker.com and we set up a link slash TAS so people can come in and just get in touch with him. He really knowledgeable and really walked me through the process, held my hand was really great. [00:39:12] Scott: That’s great. I didn’t know that you were going to give us a resource but that’s awesome. I appreciate that and I would love to dig into a little bit more of like number one, how did you discover him or how did he discover you? Where did that happen? [00:39:52] Scott: He’s got his SEO down which is great. The cool thing about this and I’ll look into it again myself because again, there’s a market out there for people to just build these and flip them in a sense. I think that’s what you’re interested in doing now moving forward, it’s kind of figure this thing out, now I want to be able to just do one of these every year or every two years and then cash out. That’s something that people can do that are good at this but they don’t want to hold on forever. Let me ask you this though, in that process what kind of vetting is happening and how does that stuff work? [00:40:30] Brian: Great question. You mentioned one to two years. He really recommends at least two years. Now I mentioned how I had 18 months and certainly businesses do sell with 12 months. 12 months is the minimum and two years is really nice to have. It’s pretty in depth and really he does upfront what a buyer would want to do which is a very detailed PNL analysis of the last, at least 12 months. He went back to day one for 18 months of all the detailed numbers in terms of monthly profits and losses. Like super detailed. Now, I’m remembering now, I actually did pay him to do that for me but he offers really detailed instructions on how to pull that information together yourself. Somebody can certainly save the money and do it themselves but at that point it looked like a lot of work. It is a lot of work to pull all that data together. [00:41:55] Scott: How long did it take for that process? People would probably want to know that too. What did it take, you said, yes I’m going to go ahead and do this, vetting starts and then we are ready to put it up for sale. [00:42:10] Brian: I think it was probably about a month between, not terrible, between getting PNL and he also did a detailed walk through of my account. Doing a screen share where you share your screen, you log in and he basically wants to see that you are the true owner of the account and that the numbers are all there on the screen, associated with that account. Again he’s doing what a buyer would want to do. Actually the buyer I sold to did it again, the exact same thing which was nice because I knew what to expect. [00:42:55] Scott: That’s smart. I think again, they are doing it also because you’re buying someone’s business you got to be able to see underneath the hood not just what you did the screenshots a month ago or whenever and they want to see now. I guess the other thing is like as far as the process, at that point like is this just your only account that you had so you then just hand over the keys to your account or is this something that now they are just going to be able to sell that product and you’re never going to sell in that listing again. How did that work? [00:43:33] Brian: Those two things are both an option and both things happen in the market is my understanding. In my case I just gave them the account because I had the one brand on the one account and I just handed it over. It’s part of the deal. [00:43:50] Scott: Would you say that that’s important though for someone if they were thinking to do this and they were just starting to set it up that way, that way you could just hand it over? [00:43:59] Brian: Yes. I think that makes sense. It definitely makes it a lot easier to take that approach. Yeah, for sure. [00:44:08] Scott: I’ve heard it’s a lot easier, instead of like saying because then also I look at it like if you’re just going to say you’re able to sell the brand now but then that person’s still going to be operating under that account. It makes it strange. [00:44:24] Brian: It does make it strange. One thing I found towards the end of that process, probably should have understood this a little better earlier. You can’t officially through Amazon ToS you can’t sell your account. It’s not that you’re selling your account, you’re selling your business and you’re handing over the account associated with that business. When you’re dealing with Amazon through the process you gotta be careful about what you say and make it clear that you’re not selling the account and you’re selling the business. [00:45:01] Scott: Got you. It just happens that that account is associated with that business. Got you. If it was someone’s like their personal account but then they put a business underneath that same account then they are basically… But I’m sure that that’s happened. If that does, then that’s going to be well the person that does selling the business is the business so we’re selling that account, I guess there would have to be some type of language use there to make that all work. Anyway, let’s wrap up by… Well, the other thing is too you want to mention like who found the buyer? [00:45:42] Brian: The broker did, I was lucky enough to have multiple conversations on offers within the first one and a half/two weeks of listing it. I attribute a lot of that to Coarn at the fbabroker.com. He obviously is getting the word out effectively and has some good contacts and he really put me in touch with quite a few people pretty quick and then definitely want to mention the buyers of the business. They were phenomenal in terms of working with him and through the process. They are called digitalassetsinternatioan.ca. They are in Canada. John Havre was one of the main guys that I worked with here. He was actually on your podcast, podcast 158 and after all this I went back and listened to his podcast. That was pretty interesting. He had a podcast with you on authority websites. That was pretty good. They were phenomenal and I feel fortunate to have done business with them. They were great. [00:46:59] Scott: It’s funny. I knew when they were putting that group together and I knew it was going to be pretty solid. That’s really what they are doing, they are buying digital assets. They are going to grow a big company that will have a bunch of these underneath their brand in a sense that they are going to be operating and then running and revenue coming in from that and that money coming from the investors will get a portion. It’s like buying property. Buying real estate. Same concept just in a digital world which is crazy that we’re able to do that now, which is just awesome. With all that just being said, we just covered a ton. What are you working on now Brian, what’s got you fired up, what are you working on? What’s driving you today? [00:47:45] Brian: I’ve never been more motivated in my life and more excited on my entire life for what’s coming next for me. I’m starting new brand, it’s about 30 days out from official launch. Totally new niche. I’ll say it’s in the beauty, health care area and it’s got a humanitarian piece of it in terms of fair trade sourced product and going to make it really a point to give back, have a charity piece of the puzzle there. It just feels good man. Even just the idea that I’m going to do it, I haven’t done it yet, just the idea that I’m going to be able to do that, it just feels great. I’m super excited. [00:48:34] Scott: That’s awesome. Now, in your head, are you going to build this with intentions to sell for sure? [00:48:40] Brian: I think so. [00:48:43] Scott: Are you thinking as quick or are you thinking you’d probably wait the two years to try to get the maximum? [00:48:49] Brian: That’s a great question. I think it depends on how things go. I think probably about the same time. I think two years. The demand in this niche is much higher so it’s huge competition. That’s where I’m nervous. Huge competition and I did not follow the same advice here in terms of finding something with adequate demand but minimal competition. I found a product a product that I feel good about the differentiation and I feel good about the ability to compete but in a very competitive market. [00:49:31] Scott: With that being said, like so what’s your strategy moving into a competitive market nowadays? [00:49:37] Brian: I’m taking lot of your advice, I’m doing a giveaway right now to collect emails. I have 1,000 emails already which it’s unbelievable and I have a Facebook page. I’m doing a lot of that and also I’m on all those other social medial sites too and doing postings. Just drumming up some buzz and trying to get the branding out there and collect emails. [00:50:05] Scott: Nice. I think that’s the answer for you. If you’re going to go into a competitive space you have to do that. Let me ask you this too, are you going to be a face or is there someone in the business that’s going to be the face? [00:50:14] Brian: Actually today they are wrapping up filming the actual people involved with creating the product. They have incredible stories. Really challenging lives, the ability to produce this product is supporting the entire community, whether they are and so I asked our videographer to go there and spend several days interviewing these people and getting their stories. That’s my plan, it’s to make the actual producers of the product the face and I hope it’s going to work. [00:50:58] Scott: I think it’s going to do great. I love that. I love that idea of getting the people that are creating the actual product and then sharing the stories of why this is important and why they are creating. I think that’s brilliant. I think that’s going to do great. I think we’re going to have you back and do an update and see how things are going. Good or bad. I definitely want to hear it. [00:51:22] Brian: But don’t jinx me. [00:51:24] Scott: No, no. I just like people to know it’s not always going to be roses but you’re going to have some sticking points and especially when you’re going to build a brand. It’s going to be a harder road than just trying to go after the numbers. You’re prepared for it and I think you are going to do great. At the end of the day you’re going to be telling us the story but I’m also going to hear I’m sure some of the obstacles that you had to overcome and stuff and I think you’ve already done it. Actually you’re just scaling it differently, to level up your game a little bit and go out there and really try to compete but I think you have the pieces I think having the charity piece is key in brands especially if you want grow quickly and then I think having the people, the creators involved, that’s next level stuff. That’s great. We’ll have you back for sure. I’m going to definitely follow up with you and have you back on and we’ll see how things are going and if things have changed and what kind of projections you have at that point. I just want to thank you again for number one posting in the Facebook group, letting people know that this is all still possible. You just have to go out there and put in the work. I just want just say again, thank you for doing that. I appreciate it. [00:52:43] Brian: It’s my pleasure and the main point to that post was not only to show people that but also to thank you because you really are changing lives and you’ve heard it before but I’m sure it doesn’t hurt to hear it again. You’re offering so much value to people really anybody out there can take this information and really change their lives. I thank you for that for sure. [00:53:08] Scott: I appreciate hearing that and that doesn’t get old. It actually inspires me, it motivates me to keep me going. Brian I appreciate it brother. Keep me posted. We’ll definitely get you back on. Keep rockin brother. [00:53:20] Brian: Thanks man. Great talking to you Scott. [00:53:23] Scott: Okay, I was not kidding. That was awesome. I love, love listening to stories of how people got started, what they went through and then now for Brian to go on to sell it, I love hearing all about of the different details and really digging into the journey because everyone is a little bit different. But some of the things they have in common are, well they got started number one. Number two they didn’t give up, they knew that it wasn’t going to be overnight success. And they just kept at it. That’s the big big take away. For anyone listening, if you’re knew or maybe you’re struggling right now or maybe you’re having some success right now, understand that you’re going to have ups, you’re going to have downs. I go back to football, I’m a football fan but not a huge, huge like football fan but I understand the game, I’ve played the game. You run plays. You go in there and you set up a certain play. Then you run the play and then you see what happens and then you adjust. The same thing goes here in business and if you think about it like that you can’t plan everything. If you’re a football team, you’re not going to be able to predict exactly what’s going to happen. You’re going to think you might know but then until you actually put that ball in motion or in this case if you put a product in motion that’s when you’re going to start to see what you need to do next and then things will happen. [00:55:27] Scott: Just understand that. I really, really want you guys to understand that because some of you might maybe struggling with that right now. Some of you might just be getting started right now and you’re a little overwhelmed. Do not get overwhelmed. One chunk at a time. One step at a time. Keep focused on what you’re working on right now. Just want to really remind you of that. The other thing I should probably remind you of that because there is almost 400 episodes now. I get a lot of people that say, “Scott where do I start?” I’m actually going to be, in the near future, I’m talking in the next month or so depending on my schedule, I’m going to sit down and I’m going to record three to five episodes, somewhere in that range depending on how many it takes and I’m going to go through and break down the five phases very similar to how I do it on our workshop. Now if you guys have not attended our workshop, I’m going to invite you there now. Go to theamazingseller.com/workshop and that will take you to a page that will have our upcoming workshops and you can register for one there, completely free. Then from there, you can actually see exactly the steps that it’s going to take to get up and running. You get your first product launched. Definitely go check out theamazingseller.com/workshop. You’ll see an upcoming one there, by then you might have been seeing an on demand feature so just go there and register and you’ll have everything broken down in under an hour and a half. Under 90 minutes everything will be broken down on that workshop but again I am looking to put together a series of podcast episodes where I’m going to break down those five phases just like I would on the workshop. Keep an eye out for that. Guys, that’s pretty much going to wrap it up the show notes, theamazingseller.com/398 and you can find all the goodies there, the links, the show notes, all that stuff can be found there at theamazingseller.com/398 and keep your eyes and your ears peeled for the episode 400 which we are approaching very, very quickly. [00:57:31] Scott: I’m super excited. We’re probably going to be actually going to be skipping an Ask Scott session because it’s going to fall on a Friday so that episode will take place of an Ask Scott session and then we’ll resume the following week. That’s it. That’s going to wrap it up. Remember as always I’m here for you, I believe in you and I’m rooting for you but you have to, you have to… Come on say it with me, say it loud, say it proud, “Take action.” Have an awesome, amazing day and I’ll see you right back here on the next episode.